Modern Education. Textbook Production Evolves with Technology Advancements. Book publishing is a core area of the print industry. Within that, textbooks are a unique segment with several economic and cultural factors driving its evolution. When digital printing emerged more than a decade ago, the publishing model began to transform. Book manufacturers were among the first to embrace inkjet. As this technology evolves it becomes more important to the modern supply chain. The ability to print at high speeds and combine finishing inline allows textbook manufacturers to push the breakeven points toward digital from offset. It is important to take into account the overall cost of production versus the price per page to determine whether or not digital is more economical for a particular production run. Beyond cost, digital print technologies offer inherent benefits like the ability to provide variable pages and shorter runs. New technologies allow the textbook to evolve, enabling custom editions, limited runs, and even virtual links to electronic tools. David Murphy, worldwide marketing director, HP PageWide Industrial Division, HP Inc., points out that inventories of out-of-date or unsold books create major economic burdens for education book publishers. Many have re-engineered their book production model from print then sell to a more effective sell first then print strategy. Book printers traditionally led the way in digitization and consolidation of manufacturing processes, being among the first to migrate to fully imposed film output and then to computer plate solutions because of the standardized product and the immediate benefits and savings in the prepress departments, adds McLachlan. The emergence of high-speed industrial inkjet solutions is a breakthrough in cost per book and speed of production, creating a significant challenge to offset. “The industry has undergone several significant challenges over the past decade. First and foremost, with the economic downturn of 2007 to 2008, textbook adoptions were severely curtained, reducing the demand for printed products, resulting in books that were increasingly out of date in the hands of students in local schools. State budgets have begun to recover and there is now a growing demand to replace these legacy textbooks across the country. In addition, the growth of digital printing has significantly altered how textbooks are published and manufactured,” points out Jim Kaeli, solutions manager, book technology and hardcover division, Muller Martini. 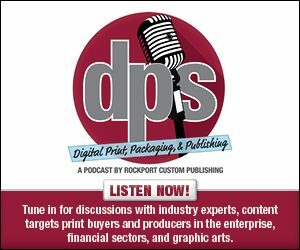 Steven Germansky, high-speed inkjet sales, publishing specialist, Screen Americas, says trends in publishing—while different than the general commercial print market—have the same effect of driving down run lengths, shortening the time-to-market cycle, and making digital a valuable tool for textbook production. “For example, we have seen publishers offering state-specific and custom content that results in multiple variant editions of what used to be single titles. We also see the integration of online content that frequently requires versioned and shorter print runs as content changes,” he offers. Digital printing technology continues to get faster and more reliable, enabling book manufacturers to handle both high volumes and shorter runs. In addition, Murphy points out that workflow is creating new efficiencies in prepress, production management, and finishing. Manrico Caglioni, president, Book Automation, adds that its web-fed finishing solution allows printers to run different textbooks on the fly without stopping the equipment at the end of each job. This is available thanks to automatic programming features. He sees digital printing and finishing solutions enabling textbook manufacturers to produce short runs efficiently and cost effectively. This ultimately gives publishers many advantages such as shortened time to market, savings due to reduced or near zero storage costs and waste, and the availability of variable data applications. Industrial inkjet and associated finishing solutions are now an intrinsic part of the manufacturing options available to the printer and publisher. “High-end inkjet allows for longer runs to migrate economically from offset at a lower run length in the book-of-one for example, depending on all the other impacting factors surrounding the job, an EP press could be the right option. From long-run offset jobs all the way to single copies, digital printing offers flexibility to the publisher and printer. We should consider that the print method is no longer important or relevant as it is all about choosing the most cost-effective means of manufacturing for any given job,” says McLauchlan. High-speed, four-color inkjet printing provides manufacturing productivity at a lower cost per page than either color toner or short-run offset with plate changes. “Bindery equipment is also expanding to meet the needs of custom publishing in terms of speed and with various page counts/trim sizes,” points out Germansky. Kaeli says digital printing and finishing drives the development and rapid growth of customized textbooks down to a single class size. “In the past, a single textbook—say a history book—would need to serve the needs of a single state or region. Now, history texts can be customized by the publisher to represent unique geographic or regional interests on several topics,” he offers. Shorter run lengths and customized course packs require a robust and efficient print-on-demand digital book platform, so these textbooks can be manufactured efficiently, comments Frank. That equates to higher demand for automated finishing. A short-run system requires quick, efficient setup and changeover and has zero tolerance for spoilage or waste. The past decade brought a lot of change in textbooks, which includes the rise of both rental markets and electronic editions. McLauchlan sees an opportunity to have more specific course or lecturer content in some educational publications; this would reduce the pagination of the publication focusing on the relevant teaching sections only. This further reduces waste and also impacts the amount of second-hand books on the market. “The textbook market is providing ways for students to affordably obtain learning materials. The more streamlined, efficient, and cost-effective digital printing can be, the better equipped it is to compete with these other textbook markets,” says Sheri Jammallo, senior advisor, marketing, Canon Solutions America. Textbook publishers increasingly offer book titles in multiple formats from printed books to e-books to audiobooks. “Digital enables the ability to print the quantity needed with quick turnaround time as demand changes,” says Murphy. Electronic components to publishing—like e-books as well as electronic supplements—complement traditional, physically printed books. “E-books are part of modern textbook publishing as a complement of the traditional books, allowing in-depth and multi-media analysis of the textbook’s subject,” says Caglioni. McLachlan believes the level or degree of importance of electronic delivery can depend on the part of the world being discussed. “In some developing countries, printed books dominate educational publishing for example. I believe that on balance, print and electronic delivery will sit side by side as discussed in the points about choosing the most efficient manufacturing process. The consumer will choose how they want to consume the content—either print or electronic. However, the predictions about the demise of printed books in the same way that digital content changed the way we access music looks unlikely and consumers in a growing number prefer the printed page,” he shares. Germansky says online content and testing supplements create textbooks with a longer adoption cycle and can also enable a longer shelf life for that edition before new printing is required. “In today’s classroom environment, whether it be elementary, high school, or even college—electronic media components are used to supplement traditional print books. This is particularly true in the language area, where online/internet-based labs can supplement or even replace traditional language labs. In addition, these can be accessed throughout the day or evening, making them more user friendly and cost effective,” says Kaeli. Additionally, while printed books have footnotes or endnotes that take the reader to the source reference of the content, solutions like HP Link Technology enable readers to use a smartphone to click on the text hyperlinks and be directed to a website to explore and learn through multiple layers of internet-based content. Kaeli says digital printing and finishing complement traditional book manufacturing and is not intended as a replacement. It instead offers a cost-effective solution to the offset production process. The main advantage of implementing digital printing and finishing is flexibility and the ability to address the demand of producing several short-run jobs per day instead of a few titles with longer runs. “On the finishing side, new solutions allow quick change over, flexibility, and highly efficient production of textbooks,” says Caglioni. Germanksy points out that advantages to digital inkjet printing for textbook production include the ability to produce fewer copies down to a single book on demand, with variable content at production speeds and more economical costs. McLachlan says the challenge is understanding the current run length and job profiles and what volumes are more economically printed via inkjet than current offset or other entry-level digital solutions. “Manufacturers must work closely with publishing customers to understand the evolving needs in educational markets. They must continually re-educate themselves to stay abreast of the rapidly changing digital printing and finishing landscape,” states Kaeli. Caglioni says the biggest challenge is creating and implementing a workflow capable of managing the increased number of jobs to be produced per day with a very short time to market—sometimes as low as 24 hours. Bringing new technology into any existing manufacturing platform requires a cultural shift and a fresh mindset. “Sometimes digital book printing and binding is set up as a separate manufacturing cell with different staff to help ensure the technology is properly adopted. That’s less common today, as most book manufacturers recognize that digital printing and binding are just another set of tools that help them compete more effectively and complement long-run book work,” adds Frank. Many digital printing and finishing products are suited for textbook production. Canon offers production inkjet technology, which the company says is well suited for manufacturing short-run books. “This technology gives publishers a new level of control over managing inventory, enabling them to adjust their strategy as demand wanes or surges for individual titles, and helping ensure that what they produce they also sell. Production inkjet enables every small order to be produced efficiently and run seamlessly as part of a much larger print run batch. This makes it possible to make short-run book production profitable for any printer,” says Jammallo. HP is driving the adoption of digitally printed textbooks by improving print quality using High Definition Nozzle Architecture (HDNA) and increasing media versatility using HP Priming for offset media. The company offers a full portfolio of HP PageWide Presses for the educational publishing market. The flagship of the HDNA-enabled inkjet portfolio is the HP PageWide T490 HD, with print capacity of up to 8,000 color pages per minute. Meccanotecnica offers a range of solutions for the production of digitally printed books including the Universe family of thread sewing machines, which produce thread-sewn books starting either from cut sheets or rolls. This binding technique makes books that always lay flat, even with high spine volumes. Downstream, the company’s Inline back gluer allows for the application of the soft cover or the preparation of books for the casing in process. Its Trimming solution allows for three-sided book cutting. Universe, Inline, and Trimming can be connected inline for maximum efficiency and effectiveness. Muller Martini offers web finishing solutions to produce book blocks from inkjet or toner-based continuous feed engines. The company also offers finishing solutions from saddle stitched to customized booklets to perfect bound books down to runs of one and highly efficient casing in solutions for hardcover books. Touchless workflow, barcode-driven automation, and high-productivity capabilities are key factors that allow the AlegroDigital and KM200 to address textbook production. The Kodak Prosper 6000 High Speed Inkjet Printing System provides speed, quality, and cost, which McLachlan says are necessary in a competitive and viable solution. Screen manufactures and sells a full line of Truepress Jet 520 Series narrow web, high-speed continuous-feed production inkjet presses for the book manufacturing environment. Specifically designed to respond to the growing need for short to medium run-length book production, the Smart Binding System from Standard Finishing goes from roll to finished book with no manual touchpoints. It combines a Hunkeler unwinder and rotary cutter with Horizon folder, gluing and pressing station, perfect binder, intelligent accumulator, and three-knife trimmer to convert pre-printed rolls into finished books in a continuous, fully automated, touch-free process. The system is able to move seamlessly between books of varying format and page count, ensuring absolute quality assurance through end-to-end system control and integrity checking. It can produce up to 2,000 books an hour, without manual intervention or added labor costs. Within the publishing industry, the process of manufacturing textbooks evolves with digital print and finishing technologies.